Epi-LASIK is an abbreviation for Epithelial Laser In-Situ Keratomileusis. This procedure is an advanced type of corneal surface ablation to correct nearsightedness, farsightedness and astigmatism. 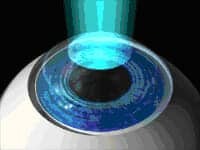 Like the other Laser Eye Surgery surface ablation procedures such as PRK and LASEK, it attempts to merge the desirable features of LASIK, PRK and LASEK. In this procedure, a specially designed microkeratome like instrument is used to create a thin flap of corneal epithelium. It achieves this by gently separating the epithelium from the underlying corneal layer without cutting. In Epi-LASIK, no alcohol solution is applied to loosen and remove the surface of the epithelium as in LASEK. Epi-LASIK is similar to LASEK in that it is a LASIK Eye Surgery procedure that can be used for patients who have thin corneas and might not otherwise be good candidates for ordinary LASIK. 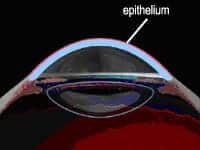 Once the epithelial layer has been removed, the excimer laser is then applied and reshapes the cornea to correct your prescription, as in LASIK, PRK and LASIK. Upon completion of the excimer laser application, the epithelial flap is removed, then a soft contact lens is applied to help protect the eye during the healing process. Epi-LASIK has a relative advantage in that it avoids any of the potential complications encountered while making a conventional LASIK flap and during the flap healing process. Epi-LASIK can allow a more rapid visual recovery with less post-operative pain when compared to PRK or LASEK. LASIK generally offers patients a minimal amount of discomfort, if any. With PRK, LASEK and again with Epi-LASIK, a thin soft bandage contact lens will be worn for several days after treatment to help with healing and minimize discomfort. Whereas with PRK there may be moderate discomfort for 1-2 days. With LASEK it is less and with Epi-LASIK it is believed to be even less, but still not quite as comfortable as with ordinary LASIK. Advanced LASIK Eye Surgery surface ablation such as Epi-LASIK may be your best choice is you have thin corneas or have certain conditions of the cornea. In general it is best to leave the recommendation of which procedure is best for you, up to your LASIK surgeon based on your consultation.